Organization with style has never been so easy. These magnetic hooks attach to any metal surface and can hold small items such as keys or potholders. Acrylic Facets Hook 116 Organization with style has never been so easy. This metal hook is designed to hold a wide variety of items coats, hats, handbags, umbrellas, towels or robes. 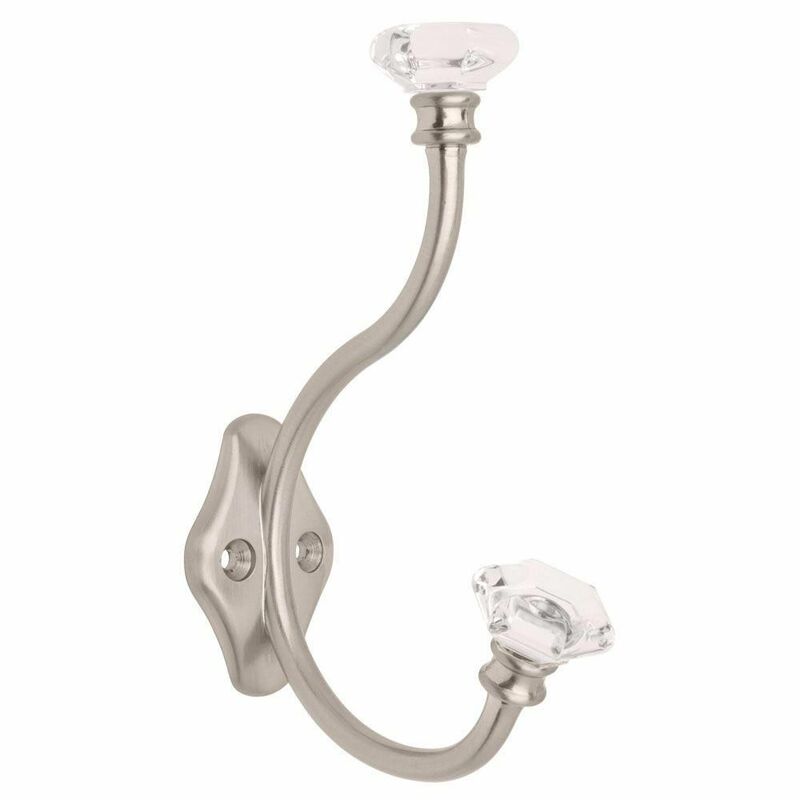 This classic design is perfectly suited for any room from the entryway to the bathroom. Acrylic Facets Hook 116 is rated 4.9 out of 5 by 18. Rated 5 out of 5 by HomeDepotCustomer from My grand daughter love having her own special hook for... My grand daughter love having her own special hook for her back pack and coat. Rated 5 out of 5 by Maine from I love this hook! Looks just like the picture and was easy to put up. I use it in my bathroom to ... I love this hook! Looks just like the picture and was easy to put up. I use it in my bathroom to hang my towel on. Rated 4 out of 5 by Dusty from these are very pretty and a good size, not small. THe only thing I wonder about is that over time... these are very pretty and a good size, not small. THe only thing I wonder about is that over time, the crystal part could come unglued and break off. Just a very minor concern. They look great. Rated 5 out of 5 by Dibbles from Nice Hooks Purchased two for bathroom. Very pleased with them. Look great. Rated 5 out of 5 by Momoftwo from Used these before. They are pretty and easier for the... Used these before. They are pretty and easier for the family to hang up towels. Rated 5 out of 5 by Collinka from Beautiful Hook We used this hook for our bathroom remodel towel hooks on each side of our double vanities. The ring towel holders in comparison were so cheap in construction. We mounted these hooks to a small piece of finished cedar wood to add overall stability. The ends are made of glass and give an antique flare to the hook.